Dr. Andy Wen is an Associate Professor at the University of Arkansas Little Rock. He is a founding member of the Arkansas Saxophone Quartet and plays Principle Saxophone in the Little Rock Wind Symphony. He has performed in twenty-five states and eleven countries including concertos with bands and orchestras, solo recitals, and chamber concerts. He presented the first saxophone recital in the National Concert Hall in Taipei, Taiwan. 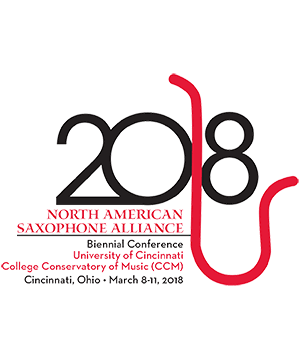 He has performed at conferences of NASA; World Saxophone Congress; Southeast Composers League; Hawaii International Conference of Arts and Humanities; American School Band Directors Association; Etats Generaux Mondiaux du Saxophone; Navy Band International Saxophone Symposium; and was the 1990 MTNA National Collegiate Artist Competition winner. Andy is a Conn-Selmer Clinician, has premiered five concertos and over forty solo and chamber compositions, was a two-term Treasurer of NASA, received degrees studying with Jean-Marie Londeix, Eugene Rousseau, Kenneth Fischer, and Allyn Reilly. Farrell Vernon Sopranino Saxophone Dr. James Farrell Vernon is Associate Professor of Saxophone & Jazz Studies at IPFW, a . . .